When it comes to contractual work, there are many things to consider, especially regarding the type of insurance to carry. Many contractors work across state lines, which means the general liability and worker’s compensation insurance that these individuals carry must allow for work to be carried out across those state lines. To decide what kind of insurance you may need, consider the following points. Commercial General Liability insurance or Contractors Liability insurance enable construction contractors to be covered in the event that they become injured or injure a third party while performing a service. Property damage is also covered in these types of policies. It’s important to have this type of insurance to protect yourself, your clients, and the company you are working with or for. Work with an insurance professional to determine what kind of business insurance is best for your contracting needs. Why Should I Be Covered? In most instances, anyone hired to perform contractual work must be insured in order to be paid. However, there are times when an individual will hire a contractor to do a relatively small job and not require insurance. That said, requiring insurance ensures that the contractor and client are protected from lawsuits that could result from the work performed or any injuries or damage that occurs during the process. Those looking to hire a contractor should be wary of any person or organization that does not require insurance; after all, any business wants to protect its assets, and insurance is a great way to do that. 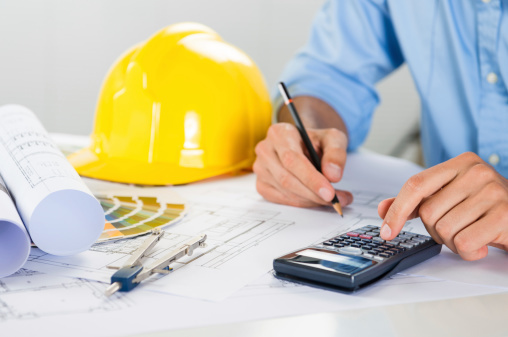 The cost of insurance varies, but to get an idea of what it might be, the formula most insurance providers use includes taking your projected sales and the amount of subcontractors that you use to come up with an estimated cost. For instance, the more you expect to earn on a project, the more you can expect to pay in insurance. An insurance agent can give you an exact amount and let you know what the price may be if you make more or use more subcontractors. Does it Transfer between States? When an employer has locations in more than one state, a workers compensation policy is written specifically for the states where the facilities exist. When a contractor works independently across state lines, there are certain specifications that can be met so policies cover the work completed, but many times an additional policy must be taken out in the state where the work is performed. If you’re a contractor or hire contractors, getting business insurance is a necessity you will face sooner or later. Talk to an insurance professional to know the ins and outs of plans that will be the most beneficial for your needs. Dana Rasmussen writes about the needs of contractors and business owners. She’s been a writer for more than 10 years and owns a small business.